Can someone out there start a petition that ALL vaccinations should be an opt in process????-A>M. Vaccinations used to be optional. But increasingly, with marketing pushing them from every angle, it seems like we have less of a choice. In New York City, the youngest and likely most vulnerable will soon not have a choice at all. There, the Board of Health voted to mandate flu vaccines for children under 6 who go to preschool or day care. The initiative will take effect in only 30 days and will affect 150,000 children. Deputy Commissioner for Disease Control Dr. Jay Varma says the shots could keep “as many as about 20,000” kids from getting sick. But he doesn’t say anything about the trade-offs. While vaccine-makers would have us all believe that their toxins aren’t only effective, but completely safe, they aren’t telling the whole truth. Vaccines come with risks, and anything that comes with risks cannot be labeled inherently safe. These corporations and often the government won’t think twice to tell you that mercury has been removed from their products. But they turn around and admit to containing something known as thimerosal—a preservative containing mercury! They say this mercury is not only safe—despite mercury being one of the most toxic elements on the periodic table—but that it helps the vaccine work more efficiently. In other words, they want you to believe this known-toxin is good for your health. The vaccine industry has many people convinced that their products are safe. And why wouldn’t they work towards this end? After all, they wouldn’t make money if their scientists were doing work that uncovered the true risks. More than likely, if a study declares vaccines are safe, effective, and without risks, there is a money trail leading right back to the corporations who make them. Research continues to mount on the dangers of this practice. There have been reports from long term statistical surveys (epidemiological) confirming suspicions that those who are vaccinated often don’t do as well with long term health as those who are vaccination free. Vaccine dangers are real, but those in power don’t want you to know about them. If NYC thinks they are making their city safer or healthier, they have been sorely misled. While the city says parents can opt out for religious or medical reasons, that isn’t enough. Parents should be able to opt in – not have to opt out. 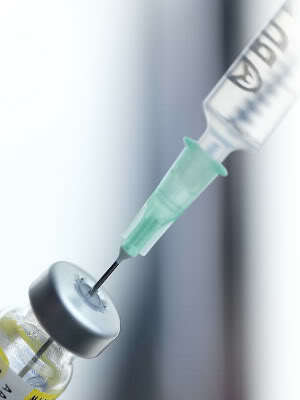 Vaccines are a risky endeavor, particularly for the youngest among us. To have to align yourself with a religion in order to opt out is a twist on civil liberties that a country known for its freedom shouldn’t make.